So what happens when you can’t get to Splendour in the Grass? You make the most of what Splendour brings to you by way of side shows – so without the tent, or camping, or rain, or mud, it makes for a number of entertainment filled nights, starting with Jenny Lewis and Ryan Adams. Any presumptions or misconceptions that may be implied by a Care Bear / My Little Pony-esque pastel rainbow stage setting with matching guitar were dismissed as quickly as they were formed. Jenny Lewis is one sassy chick on stage, and she can sing. Really sing. Silver Lining was an entrancing opener before a brighter pop sound on Head Underwater and going back to the days of Rilo Kelly for a little more rock and attitude in The Moneymaker. By the time The Next Messiah came along, that rock / country mix with soul sounded like absolute gold. With the guys off stage, it was time for the girls to shine where a trio of female voices in gorgeous harmony treated a silenced crowd to another Rilo Kelly number in With Arms Outstretched. Having produced Lewis’ last album The Voyager, a couple of tracks from the album seemed a fitting precursor to seeing Ryan Adams and seemed to only highlight the subtle similarities in sound creeping in on that album. But without out shadowing the female only vocal effort earlier, the entire band became the Jenny Lewis choir on Acid Tongue. Ditching the pastels and opting for oversized Fender amps, old school arcade games and a peace flag, Ryan Adams was all hair with more than generous doses of indulgent guitar. It all started with Gimme Something Good and judging purely by the random reactions voiced during the two hours, every song seemed to be someone’s ‘must hear’ song. Everything from the picturesque sounds of Let it Ride, the contrast of vulnerability and implosion of Dirty Rain, being captivated by Dear Chicago and treated to indulgent solos and jams in Magnolia Mountain. It was an electric dominated night, but the acoustic guitar got wheeled out for a few select tunes and crowd singalongs via My Winding Wheel and a few quieter moments, with Jenny Lewis returning to the stage momentarily later in the night Oh My Sweet Carolina. Hearing something like To Be Young (Is to Be Sad, Is to Be High) live goes some way to summing up the energy that seeing Ryan Adams on stage can bring to a room, and somehow that still carries through to a soul-wrenching Peaceful Valley with more indulgent, extravagant jams, managing to entertain with old, new and in-between tunes alike. There’s also this effortless transition between showcasing amazing vocals, only to be followed by an absolute killer rock jam in Shakedown on 9th Street, with added cool, swag and tempo before some of the loudest cheers for New York, New York. Sweet Illusions was another beautiful flashback to seeing Adams in action with The Cardinals years ago, and a few tracks from Gold and the newest self-titled album followed as the night approached an unwanted close, wrapping up into a slow encore of Come Pick Me Up. Music aside, there was time for humour too with a birthday dedication and engaging the crowd to offer logistical assistance in getting a cake passed back to lighting (successfully, too). 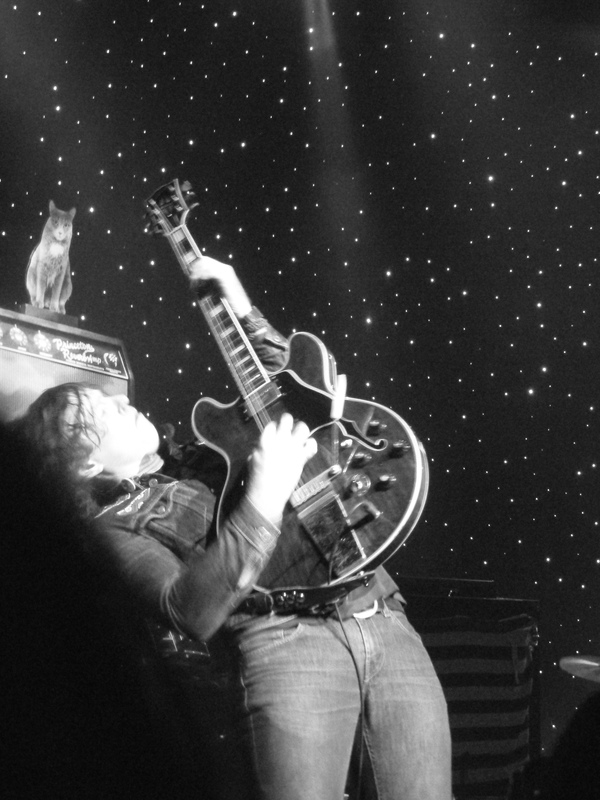 But Ryan Adams gets extra kudos for putting a crowd heckler back in his place, a fine effort indeed.